Built in 2016, by the Foss Maritime Shipyard of Rainier, Oregon (hull #21) as the Denise Lynn for Foss Marine Holdings of Seattle, Washington. 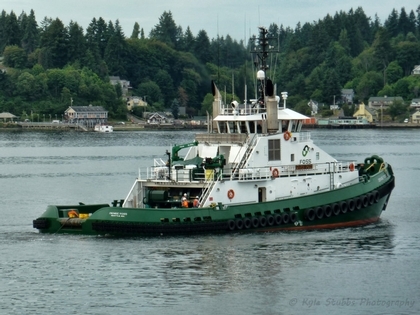 In 2016, Foss Marine Holdings renamed the tug as the Denise Foss. 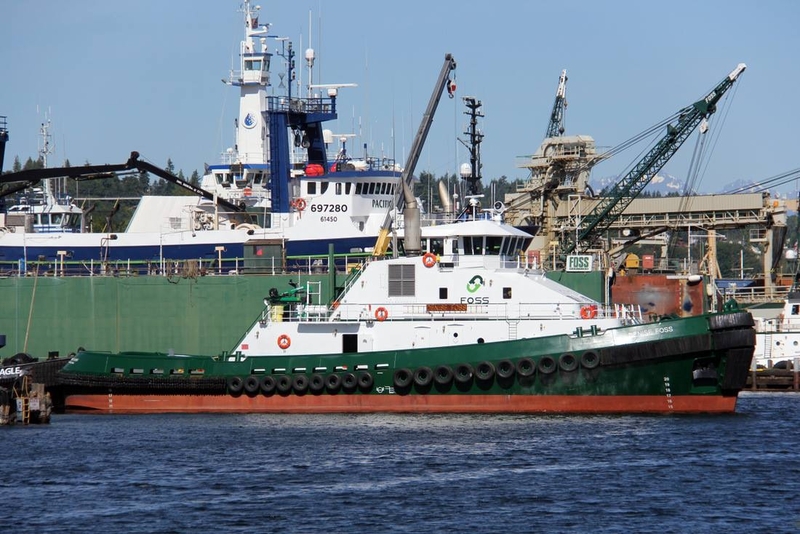 She was the second Arctic class tug constructed by the Foss Maritime Shipyard, for Foss Marine Holdings of Seattle, Washington. Powered by two, Tier II compliant, eight cylinder, Caterpillar C280-8 MC diesel engines. Installed on Christie and Grey anti-vibration engine mounts. With Reintjes WAF 3455 reduction gears, at a ratio of 5.524:1. Turning two, 126(in)(3.20m), three bladed, fixed pitch, Sound propellers. Mounted in Nautican kort nozzles. With a Nautican triple vane rudder system, for a rated 7,268 horsepower. The tug's electrical service is provided by two, 215kW generator sets. Driven by two, Caterpillar C9 diesel engines. With a third, 95kW, auxiliary generator set. Driven by a John Deere 4045 diesel engines. Her capacities are 122,000 gallons of fuel, 1,900 gallons of potable water, and 6,900 gallons non potable water. The tug's towing equipment consists of a Markey TDSD-40, double drum, towing winch. Outfitted with 3,000(ft) of 2.25(in) towing wire on each drum. As well as a bow winch mounted forward. And, a Palfinger PK6500MB deck crane.